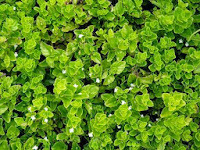 We drink a lot of tea in San Francisco—I guess you should expect no less for a city originally named Yerba Buena, after a local wild herb in the mint family (Satureja douglasii, shown to the right) used as an herbal tea. One local tradition is yum cha, 'drink tea' in Cantonese, the Chinese name for a mid-morning spent lingering over pots of tea with friends or family. Yum cha is invariably accompanied by dim sum: steamed shrimp dumplings, Malaysian-style steamed spice cakes, braised tofu skins stuffed with vegetables, pork siumai dumplings topped with fish roe. But the tea is what defines the ritual: bright chrysanthemum, elegant Iron Goddess of Mercy, or the most classic San Francisco yum cha tea: dark earthy bo lei (pu'er in Mandarin). 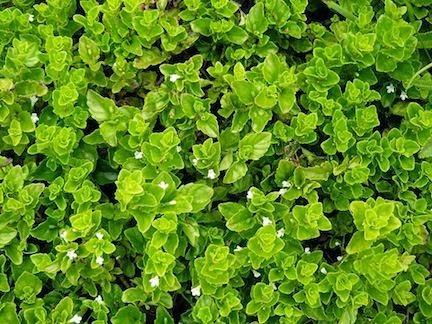 Bo lei is from the subtropical hills of Yunnan just on the border with Myanmar, and unlike green or black teas, is fermented microbially as it ages. Colder tea pleasures include the tasty iced chai (shown left) that you can find at all the big chain cafes, spiced with cardamom, cinnamon, or ginger, or the Taiwanese bubble tea served with tapioca balls and huge straws out in the Sunset and Richmond. For a more British tea tradition there's afternoon tea at the Garden Court of the Palace Hotel, where people have been meeting for a hundred years for tea sandwiches and scones and lemon curd, or the many cozy English tea rooms scattered around the city. Alternatively, there's the teahouse at the famous Japanese Tea Garden in Golden Gate Park, built by Japanese landscape architect Makoto Hagiwara in the early 20th century, where tourists and locals drink powdered green matcha under the cherry blossoms. If you prefer to eat your tea, there's yet another option: the refreshing laphet toke, the Burmese tea leaf salad that is the signature dish of the growing number of popular Burmese restaurants like Burma Superstar. 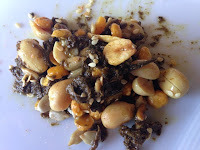 Laphet toke, often called the national dish of Myanmar, is a stimulating caffeinated Burmese dish, served at the end of a meal, or at celebrations, made with fermented tea leaves (laphet in Burmese), dried shrimp, yellow peas, peanuts, sesame and crisp fried garlic. For the recipe, check out Naomi Duguid's fantastic Burma: Rivers of Flavor. But tea is even more than a delicious beverage or refreshing salad. 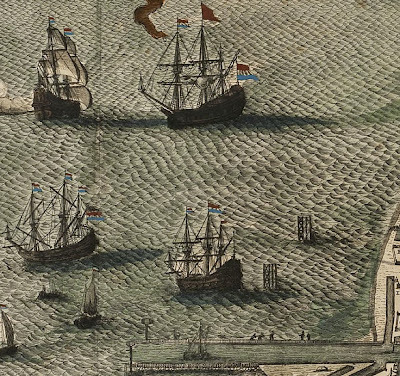 These tea words ("tea", "cha", "chai", "matcha", "laphet") are players in an unusual linguistic story, in which two differing pronunciations of a word reflect the two ways that Europe and Asia have traded over the last 500 years: by land or by sea. The story begins where the far southwest of China's Yunnan province meets northeastern Burma and Thailand, somewhere between the Mekong, Irawaddy, and Salween rivers. The tea plant, camellia sinensis, is native to a wide area that includes this region, and it was probably somewhere near here that it was domesticated. 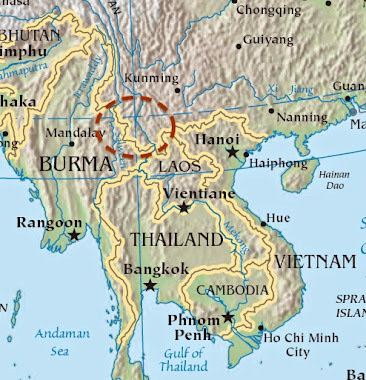 A number of linguistic groups arrived in this region very early, first speakers of Mon-Khmer (a proto-language that is the ancestor of Cambodian, Vietnamese and many smaller languages scattered around southeast Asia), and then Tibeto-Burman (the family that includes Burmese) and Tai-Kadai (the ancestor of Thai and other smaller languages). Tea plays many important roles in this region; as a beverage, a salad, a ritual item, and regional groups in northern Laos or Thailand even ferment tea leaves in bamboo tubes, sprinkle them with salt and chew them like plugs of chewing tobacco. 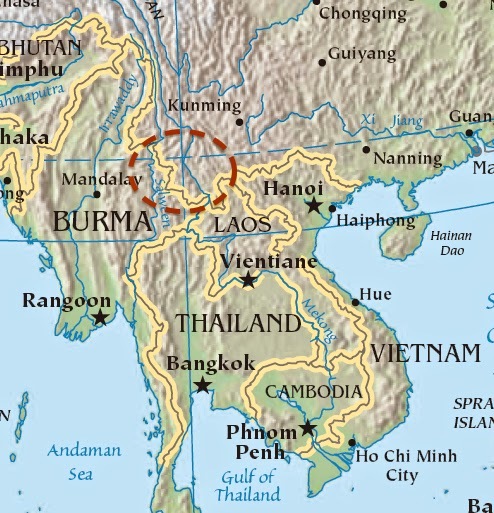 An old map showing some tea regions at the border of Yunnan and Burma, including the area where the Mon-Khmer language Palaung is spoken as well as the town of Pu'er. Victor H. Mair and Erling Hoh postulate in their terrific The True History of Tea (check out Appendix C which has the linguistic details) that the earliest Mon-Khmer used a word like *la (the * means a word in a hypothetical proto-language) to mean 'tea' or 'leaf'. As other groups like the Tibeto-Burmans moved into the area, they borrowed *la; that's the origin of the la ('tea/leaf') in Burmese tea laphet. 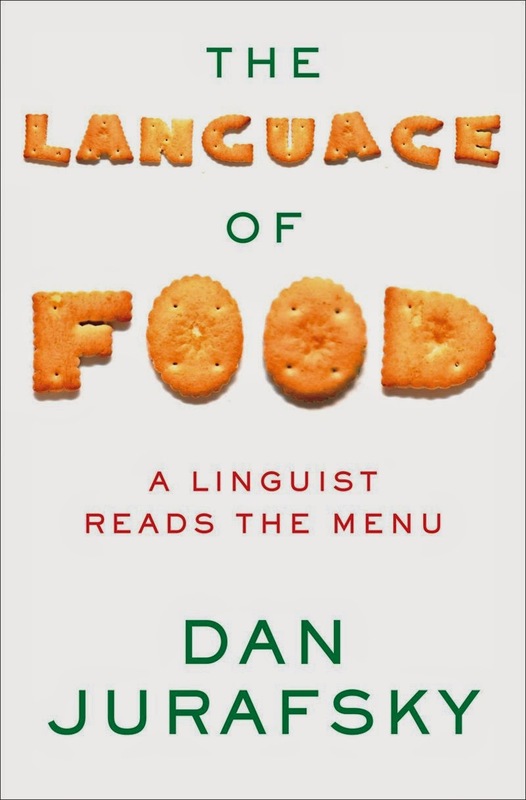 Mair and Hoh postulate that early Chinese speakers borrowed the word *la too as they immigrated south into Yunnan, and over time *la changed to *lra and then, by sometime around 500 CE, the Middle Chinese form *dra. Roughly around the turn of the 17th century, tea began to spread around the globe, and languages around the world borrowed the word from Chinese, in two distinct forms. Some languages have a word starting with "t" like our tea (and German Tee and Spanish té), while others have a word starting with "ch" like cha in Japanese and Portuguese, or chai in Russian, Mongolian, and Hindi. Why these languages with these two forms? Below I've shown the same data plotted on a map showing Eurasia and parts of Africa, with all the forms beginning with the sound "ch" in red and the forms starting with "t" in blue. 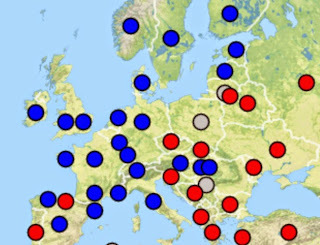 I've extracted this map from a more complete map in WALS, the monumental World Atlas of Language Structure Online, from the chapter on tea written by Östen Dahl. 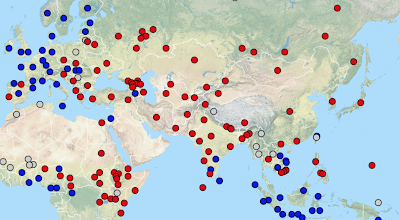 Red dots are words from "cha"; blue dots are words from "te"; grey dots are others. From Östen Dahl's chapter and map in WALS. "a wide band that runs across the center of Eurasia, from the eastern steppe to eastern Europe and Southwest Asia". You can probably think of something else that ran in a band across Eurasia a thousand years ago: horses ridden by Ghenghis Khan and his armies. In the 13th century Khan led a united army of Mongol tribes that conquered China and most of central Asia, and subjugated large parts of the Middle East and Eastern Europe. It was the Mongolian empire that strengthened and extended the Silk Road, the first global networks of commerce that link Europe and Asia, and which were the caravan routes by which China traded tea with its neighbors. 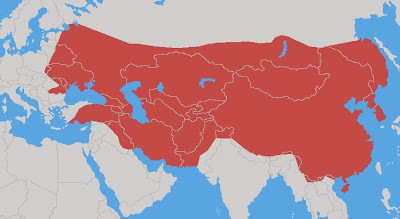 As is suggested by a comparison of the list of languages above with the map below showing the Empire's maximal extent, the Mongol Empire and the various Persian/Turkic empires correspond neatly to the range of the word chai. The second group of languages describes tea with a word pronounced something like "tey"—the way our English word tea used to be pronounced. This group includes western European languages like French (thé), Spanish (té), Italian (tè), and Dutch, German, Danish, Swedish, Welsh, Irish, and Hungarian. And, mysteriously, the very much non-European languages Indonesian and Malay. The source of these "t" words is te, the word for tea in Southern Min, a Chinese dialect (or language, depending on your definition) of 46 million speakers, spoken in Fujian and Guangdong provinces and in Taiwan. This is the dialect from which we get the word ketchup. 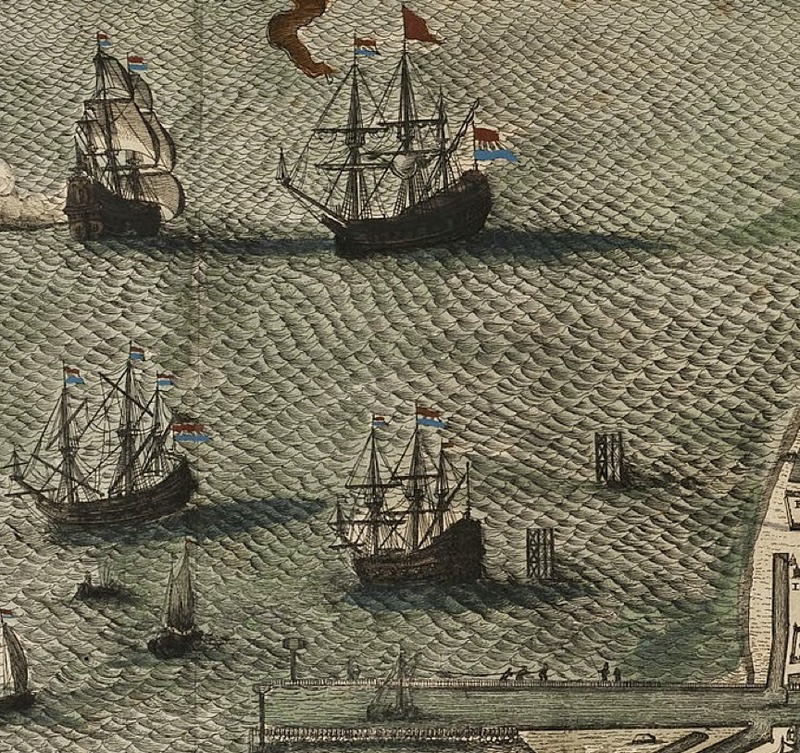 Southern Min-speaking Chinese settled throughout Southeast Asia, — explaining the word teh in Indonesian and Malay — and traded tea to the Dutch in the early 1600s in Dutch colonies like Batavia (modern Jakarta) and also in Xiamen, the port city in Fujian where trade took place between China and Europe. As with "ketchup", we don't know if the Dutch got the word "tea" from Xiamen directly or, perhaps more likely, from those ethnic Chinese communities on Java. The map below shows the chai/tea isogloss dividing Europe, with languages in the west using words like "tea" and languages in the east using words like "chai". In other words "tea" comes from the seafaring Fujianese and spread west by sea while "chai" comes from the landlocked west and north of China and spread west by land across Central Asia, to South Asia and Eastern Europe. How your language pronounces the common word for the leaves of camellia sinensis thus depends on whether its earlier speakers traded with China by land or by sea— chai if by land, tea if by sea. And the common descent of tea, cha, chai, and la from one ancient protoword *la reminds us that we humans also belong to one family. Tea offers us a history of international relations (from the 17th century back to early human movements) in every cup.